As extremely important signaling molecules, proteases precisely control a wide variety of physiological processes, and thus represent one of the largest families of potential pharmaceutical targets. Considering ~2% of human genome is estimated to encode proteases, specificity is highly desired for any protease inhibition therapy. However, the proteolytic mechanisms are highly conserved among the same class or family of proteases, thus distinguishing proteases using small molecule inhibitors is exceedingly difficult. Monoclonal antibodies (mAbs) are rapidly emerging as one of the major pharmaceuticals with distinct advantages comparing to small molecule drugs: high specificity, well-understood mechanisms, and predictable safety. By construction of synthetic antibody libraries enriched with convex conformation, and development of functional screening methods based on epitope-specific FACS, genetic selection, and Next-generation DNA sequencing, we isolated a panel of highly potent Fab inhibitors with exclusive selectivity toward matrix metalloproteinase -14 (MMP-14), a predominant target for cancer metastasis. Notable, inhibitory Fabs accounted for >70% of all identified binding clones. Particularly, Fab 3A2 inhibited MMP-14 on its physiological substrates with an inhibition potency of 9.7 nM. Enzyme inhibition kinetics, competitive ELISA and epitope mapping studies collectively suggested that Fab 3A2 is a competitive inhibitor binding to the vicinity of MMP-14 reaction cleft. Preliminary results also indicated mAb 3A2 significantly reduced tumor cell spreading in mouse models. Applying the novel methods of synthetic Ab library and genetic selection, we now generate biologics inhibiting proteases of biomedically importance but challenging for conventional antibody techniques, including BACE1 for Alzheimer disease, MMP-9 for neuropathic pains, cathepsin K for cancer, and Alp2 for fungal infection etc. Dr. Xin Ge is an Assistant Professor in the Department of Chemical and Environmental Engineering at University of California, Riverside. He received his B.S. in Chemical Engineering (2000) and M.S. in Biochemical Engineering (2003) from Tsinghua University and Ph.D. from McMaster University, Canada (2008). 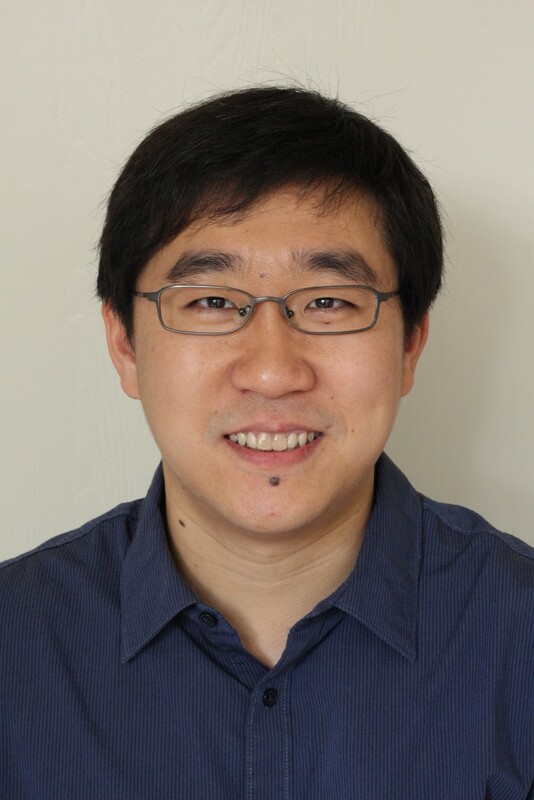 Prior to joining the faculty of UCR in 2011, Dr. Ge was a postdoc fellow / research associate at the Department of Chemical Engineering, University of Texas, Austin. Dr. Ge’s research interest is in the area of protein engineering, mainly focusing on therapeutic antibody / enzyme discovery and engineering. He was a NSERC post-doctoral fellow and an awardee of National Science Foundation (NSF) Faculty Early Career Development Program. His research is currently supported by NSF CAREER, NIH R01, USDA, and California breast cancer research program, etc.